If you are a manager of a recently created community based on the Salesforce platform, one of the main challenges you have is how to invite as many customers as possible and then keep their attention. How can I increase customer engagement? How can I encourage users to be active and to participate in discussions? How can I make the community vibrant? As the community manager, you are responsible for its functioning. Keep in mind that business is a social thing – you can’t run a business without collaborating with your customers. Your goal is to make your community the ‘number one place to go’ for your customers, if they have any questions or ideas and want to share them with others. To achieve this goal and to make your community successful, you can use the basic concepts of social business – Sharing, Rating, Reviewing, Connecting and Collaborating. With Advanced Salesforce communities, you can implement these concepts easily. Communities based on Koa, Kokua and Napili templates and improved by AdvancedCommunities.com allow you to publish relevant information about products or services, announce important company updates, answer customers’ questions and provide full online support. 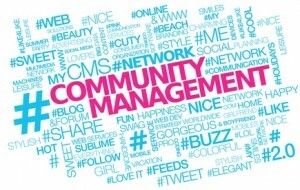 Running a community successfully requires both good management and good marketing. Sharing information about your product or service is simple with a social community based on the Salesforce platform. Indeed, it is the first thing a community manager should do to promote the company and to start the process of customer engagement. Free access to information about your product means it has a chance to be adopted in the market faster. Sharing does not have to be just one way – from manager to customer. Your customers are an invaluable source of information and you have to learn how to use such information for the benefit of your company. Organise a discussion within the community, track the most active participants and vote for the best answers. Such discussions can provide new ideas for your business. At the same time, you should be aware of any anonymous users and the negative comments they can give. Customers can be both recipients and publishers of content on the internet and it is crucial to understand that. Relevant customer reviews are a good thing, but it is important to control whether a review is genuinely neutral, or coming from an evangelist, a detractor, or a competitor. Rating. There is a general truth that has to be mentioned here – people write comments for one reason – they hope they will be recognised. Rating is a good way to show customers how much you appreciate their contribution. A rating system can be implemented using the basic Salesforce community template. Our certified Salesforce developers will tailor your rating system to your specific community. Give your customers points, titles or prizes – it doesn’t really matter what it will be – but find a way to demonstrate your appreciation and to mark them out from the crowd. Reviewing. To make sharing and rating possible, you will need a well-structured community. Communities created by companies for their customers are good examples of social business practices with a social media marketing background. Within the community, managers can control the content, customer reviews, create a positive image of the product or company, provide customer support, etc. With the help of the Salesforce community and using the basics of social marketing, you can get formal, visible and transparent connections between customers and your business, between company employees, or between employees and customers. Connecting all participants in the business process is what social marketing does. A Salesforce based support community is the best tool for this. The principles of social marketing and communities facilitate business, service improvement and market understanding. Connection between employees and customers produces collaboration. Thanks to their connection through the community (Community Chatter, Feed and Cases), your company is informed about your customers’ opinions and you are able to react quickly to what your customers are saying in an efficient manner. Collaboration is an essential part of every vibrant community and a mark of real social business. A good example of an effective collaboration through a community is the Salesforce based “My Starbucks Idea” platform. It was implemented in 2008 and, since that time, about 80,000 ideas have been submitted and over 200 of them have been actioned. A Salesforce based community is an excellent tool for business promotion and customer engagement.